Atlantia is a very hard story to pin down. A major reason for this being that it unfolds at a very slow pace. Rio Conwy is a girl restrained. Kept away from her dream of a life in the Above by a last minute decision by her sister. Warned never to use her Siren's gift by her mother. Haunted by unanswered questions surrounding her mother's death and the surviving aunt that she has never been allowed to know. The first third of the book is spent following Rio through loss after loss. Her mother, her sister, her place in the temple, and the life that she has always known. Things don't really begin to unfold until she starts to interact with her aunt Maire, a powerful but feared siren. 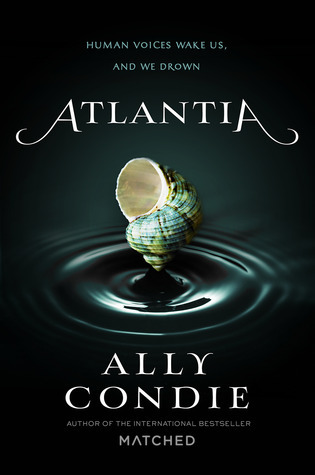 As the story begins to unfold, and secrets about the inner workings of Atlantia are revealed; reader connection with Rio and her plight intensifies. There is also a bit of a romance between a young man named True. True is so much more than a romantic interest however, he proves very important to the story's final outcome. At its heart, this is a story about life, love, and one person's power to speak for those who have no voice. 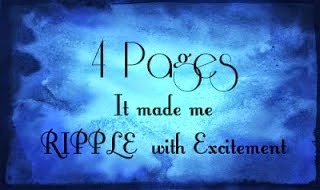 OOoh sounds like an intriguing read! Most excited for this one myself! Great review!